And now you can take on in Santa Ynez, CA!! I could not have said it better myself, so I am just reposting this blog. 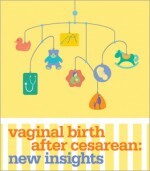 http://bizchicks.org/2012/06/11-reasons-to-take-an-independent-childbirth-preparation-class-part-1/ Please take a look. I am sharing this short and simple blog entry from Giving Birth with Confidence. I couldn’t say it better myself. BE PATIENT. Here’s the reality: 40 weeks is an average time for pregnancy that is based on a date (last menstrual period or conception) that can be uncertain or inaccurate. The result is an estimate – not a deadline, expiration or delivery date. Your baby is not a FedEx package. And yet, women who go beyond the magical 40 weeks due date are made to feel like a pressure cooker. Well-meaning family and friends call, text and email to check in, asking questions like, “Are you still pregnant? !”; some care providers put women who are postdates on a time clock, often stripping membranes to jumpstart labor, performing a barrage of tests to check on baby and scheduling an induction date; and then there is the general discomfort and exhaustion that comes along with the end of a pregnancy that makes a woman feel like she is “so done” with pregnancy. With all of this pressure, even the most patient and informed woman becomes irritated, on edge and prone to doing whatever it takes to birth her baby. Have you ever heard anyone say that children develop and hit milestones at different rates? The same is true for developing babies. Some may be ready for birth at 39 and-a-half weeks while others need an extra two weeks or more. Allowing baby to initiate birth helps ensure that he or she receives enough time to develop and mature. Contrary to what many believe, the last few weeks of pregnancy are not just for fattening baby up. Important organs, like the brain, lungs and liver, are still developing, as well as functions like sucking and swallowing. Interrupting these processes by scheduling an induction — unless there is true medical reason — can deprive baby of the time he or she needs to grow, and poses risks associated with induction. Television Abomination Turns Me Radical-One Born Every Minute should be taken off the air. I cannot believe this television show is being allowed on the air by physicians, nurses, birthing moms, etc. And shame on Jamie Lee Curtis for being involved as the narrator. It takes a lot to get me riled up, but after the first birth, I was sad. After the second I was mad. After the rest (that I could bear to watch), I am extremely fired up, irritated, disappointed and just plain mad. IF YOU ARE PREGNANT, DON’T WATCH IT. Watch positive films such as Organic Birth, Born in the USA or Natural Born Babies. Or meditate on a calm birth and attend real birthing classes designed to give you tools and train your support peope. The only women who would watch this horrible show repeatedly are pregnant women or those looking to get pregnant, and THESE ARE EXACTLY THE WOMEN WHO SHOULD NOT WATCH. These are sensationalized, poorly explained, poorly and highly medically managed births. THIS IS THE WORST DISSERVICE we can do to the young women birthing today. BIRTH IS NOT/SHOULD NOT BE TELEVISION DRAMA. There is no representation of the many peaceful hours of most labors, only the last 5-10 minutes of drama and medical interventions. Women who make loud sounds and scrunch up their faces in the last stage of labor are usually reacting to the profound urges of their bodies. THESE REACTIONS ARE OFTEN SOUNDS OF POWER, ENERGY AND RELIEF and are not necessarily exhibitng pain, as the viewer interprets and the narrator fails to correct. This kind of drama should be driving women to home birth every minute of the day. It sure would me! The first thing that could make the births I was able to get through is to STOP PUTTING WOMEN TO BED, in labor. This may be easier to film, but is not where women should be laboring 90 percent of the time. If women are encouraged to be up and about during labor, they will need less, if any medication, less labor augmentation, less vacuum extraction and shorter labors. This would also be the result if the NURSES SPENT TIME IN THE BIRTHING ROOM , ENCOURAGING, SUPPORTING AND OBSERVING birthing women instead of sitting, chatting at the nursing station and relying on the often misleading monitors to tell them of a woman’s labor progress and condition. If women are encouraged to BIRTH IN UPRIGHT, HANDS AND KNEES OR SIDELYING POSITIONS, they can avoid the vacuum delivery so often shown on this show and Cesarean Surgery that is presented as some kind of ultimate relief to the mom and baby. NORMAL BIRTH HAS ITS OWN NATURAL RELIEF. It is sad that this is what young women see as birth. We have unnecessarily frightened an entire generation of women into thinking that birth is painful, scarry, traumatic and something horrible to have to endure. Women approach birth now with fear, more than ever before. They do so to the extent that they are willing to take medication they think will numb them from the entire experience. BIRTH IS NORMAL AND NATURALLY MANAGEABLE AND IF WOMEN ARE CONDITIONED TO UNDERSTAND THIS AND HOW BIRTH CAN BE POWERFUL AND WONDERFUL, they will approach the experience with calm and confidence. Women are failing to receive quality education and failing to get quality support in labor. They are clearly not being given THE REALITY OF BIRTH AND HOW THEY CAN CONFIDENTLY AND POSITIVELY PARTICIPATE. Those around them who are supposedly there for support are not being given the tools and assertiveness training to handle birth themselves, rather than acquesing to every medical intervention available. MANY INTERVENTIONS SIMPLY LEAD TO A CASCADE OF ADDITIONAL INTERVENTIONS, resulting in complications and trauma to mom and baby: hence the “drama” for the films. I could go on, but I question the hospitals reasoning for allowing this program to use their facility and their patients. It reeks of just another revenue center, just as births with multiple medical interventions have become. MAKING MONEY AT THE EXPENSE OF THE BIRTHING FAMILY is unconscionable, but becoming an accepted practice. BIRTHING WOMEN; Don’t get caught up in the negative mental and emotional cycle being promoted by shows like this. AVOID THEM!! EDUCATE YOURSELVES ABOUT NORMAL BIRTH. NORMAL BIRTH IS GOOD. NORMAL BIRTH IS EMPOWERING. Sure normal birth is hard work, but NORMAL BIRTH IS NOT TO BE FEARED.